If you are a parent, you know the feeling of pride that comes from watching your child(ren) perform in a school play or sing at an event; you’ve experienced the joy that occurs when you visit the classroom or engage in school activities with your child(ren). But, imagine if you had to stay outside the classroom door or couldn’t make it into the auditorium to watch the show. Imagine the feelings of guilt, sadness and separation you’d feel if you couldn’t participate the way every other parent was able to participate. Unfortunately, this happens more than you may think. When a parent uses a wheelchair, or doesn’t have the ability to climb stairs, there’s often no choice but for them to miss out on various aspects and events in their child(ren)’s life. 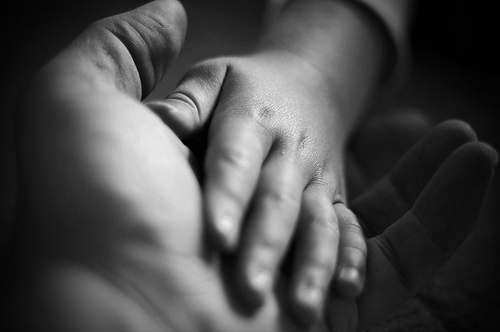 For no other reason than structural inaccessibility, some disabled parents are placed in the awkward position of not being present in their child(ren)’s affairs. I’ve had to hear about my daughter’s classroom activities from other parents and it left me feeling embarrassed, guilt-ridden and upset. I’ve heard other ‘wheelie’ moms express anger, frustration, grief and humiliation at having to miss out on things because they couldn’t gain access into the venue. 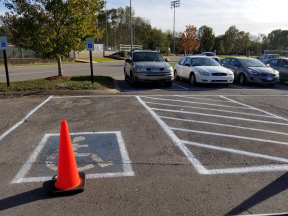 When my daughter first started kindergarten at her new school, there were plenty of handicap parking spots available, but none were van accessible. 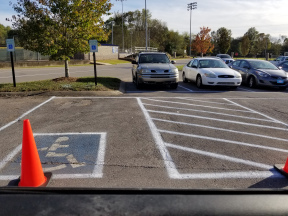 The principal and school security officer both told me to simply make my own spot or take up 2 of the handicap spaces. So, for the first few months of school, that’s what I did. The school is extremely wheelchair accessible once inside – the entire layout of the lower and upper floors flows together via ramps and an elevator is in place. I’m able to go anywhere inside the school I need to go. But there was only one entrance that was level for my power chair to go through and it’s located at the main entrance, which is two schools down from the elementary school (the school itself contains preschool through high school). I would try my best to park near the main entrance whenever I arrived for school activities and then make my way through the high school and middle school to the elementary wing. I was able to attend all her class parties, her performances and the like. It was wonderful, and I had no complaints. I was simply happy to be able to go and be! During the 3rd month of fall semester, the principal told me they’d put in a van spot for me right by the elementary school! I was excited and felt quite fortunate that the school had made accommodations for me. The only problem was that once I parked, I still had to trek up to the main entrance to get into the school. 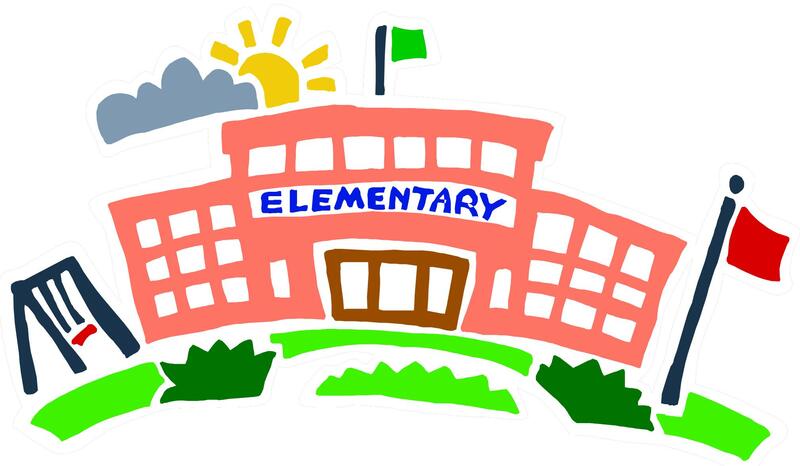 They had not realized there wasn’t a way into the elementary school for me. I told them it was no big deal (and this was true but on rainy days and as the weather got colder, it wasn’t the most ideal). Right before Christmas break, I arrived one afternoon to pick up my daughter and a couple of faculty members approached me. They asked if I’d seen what the principal had made me. 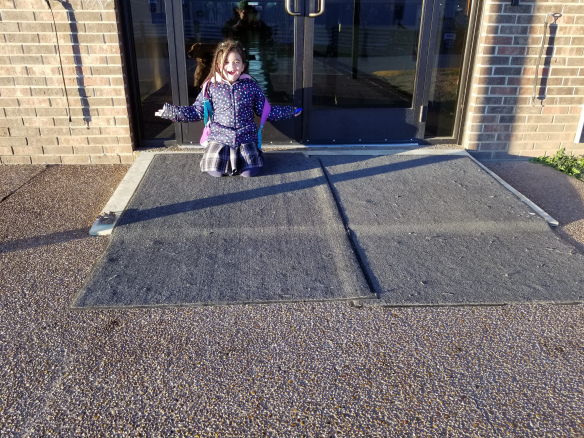 Apparently, the principal had decided not to waste time waiting for approval and necessary funds from the budget – he’d spent that day building me a ramp into the elementary school!! I was moved to tears! It sent me the message that I was just as important as the able-bodied parents; that I was wanted and needed there; that I was respected. They recognized my need to be with my child. My daughter’s school made it possible for me to have the same access as the other parents. But, it was what the Headmaster said to me that really meant a lot: he told me yes, it was done for me, but that it would be there for other parents like me in the future. So, it seems that while they have given me two huge gifts in the form of making the building more accessible, I in return have given them a gift – the gift of awareness. I’m so thankful for all of this!! Using a wheelchair should never prevent me from being present in my daughter’s life but the reality is that it has. And there will be more times in the future that it will. But, as society becomes more aware of the existence of parents with special needs and is educated about the need for accommodations, disabled parents will gain equal access in places such as schools, gyms, auditoriums, etc. There will be a day when we no longer experience our child(ren)’s lives vicariously but are fully engaged as we are meant to be.